Which fake tan is right for your skin type? How to avoid a #FAKETANFAIL. For those who have been blessed with olive or dark skin tone, you will never understand the life of a pale girl. We are serious, the struggle is real. That’s where we come in. It’s all about the Tan Plan. So let’s get you ready for a great outcome. Prepare your canvas. Shower, shave/wax, exfoliate and remember NO deodorant or creams before you tan. Pick your poison wisely. Are you a fan of the spray tan or a DIY job at home with a mousse, spray or cream? Make sure you get one that works with your skin tone and application ability. Sometimes it’s all too hard to apply, or just too damn orange. Fake tanning is hard enough, but dealing with the day after just adds to the hassle. Even Katy Perry is a victim…. Make this super unglamorous process as painless as possible and ensure you are equipped for the aftermath with aftertanco.com Bamboo Collection. With Bamboo Pillow and Sheet Protectors, the perfect fake tan finish is just around the corner. Your bedding no longer needs to wear as much tan as you with this super luxe and affordable After Tan Co Bamboo Collection. Trust us, we’re all over it. Tan responsibly your things will thank you. Wedding day spray tan. Yay or nay? So you’re planning your big day. Your dress is white and so is your skin. Do you risk it and tan or embrace your ‘natural’ (aka pale) beauty? In order to make an informed decision, you need to be well aware of the risks and work out how to combat them. If you are anything like us, lovely and white (but not in a good way), a tan is the only way to go. And we’re going to make this super easy for you. We’ve done the research, spoken to some very talented photographers, makeup artists and spray tanners to compile this exclusive list to help you make your decision. Get referrals from friends and family as to where they have been that is good and find out why. Trial different spray tans (there are so many brands and preparations available) and salons. You will quickly learn out what you like. Some salons will use different colours in different times of the year; so if you’re having a summer wedding, check this prior to getting your trail tan in a salon in winter. Once you’ve found your perfect tan, get another at least 4 weeks before your wedding – could be used for your hen’s night or before your trial makeup appointment. This will make ensure that the tan will be completely off before you reapply for your wedding day. No matter what your natural skin colour is, there is a perfect shade of tan out there for you, just keep looking until you’ve found it – just like your soon to be husband! If you have allergies and sensitive skin then you definitely will need a trial – don’t risk having a reaction to it! On the day or the night before, exfoliate, exfoliate, exfoliate. This will reduce the patchy and uneven finish. Use rough mitts and a body scrub, the combination of the two will soon be your new best friend. Moisturise your body – this will dramatically improve the tan and help it to be more natural. DO NOT moisturise your body after the last shower before your spray tan. Dry skin is a must so that means no moisturiser and no deodorant! Do not shave or wax in the 24 hours prior to your tan, make sure you do this before hand. Choose a light shade for yourself and your bridal party. Two days before your wedding is what the consensus seems to be. This will make sure that none of your tan will rub off onto your dress. Moisturise after every shower following your spray tan. This will extend the life of your tan and will keep it looking great for the honeymoon too! During your tan we recommend wearing nothing to avoid any tan lines at all. What to wear? Be prepared post tan. After Tan Co’s bamboo collection caters to the post tan application journey – the last chapters of the Tan Plan, if you will. You need to make sure you’re wearing the right fabric and shape, so as to not ruin tan. Bamboo is best. At night? 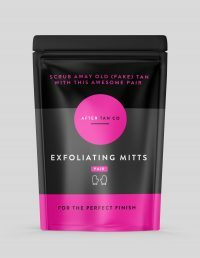 Whether you are sleeping in your tan (and need to deal with the aftermath of your sheets wearing your tan the following day), or had an express tan that you wash off so it develops overnight (non sweaty restricted bedding is key here consider After Tan Co Bamboo Sheet and Pillow protectors. You want to make sure you get the best result possible so every little bit helps. If you, the bride, is having a spray tan, your bridesmaids should too (if they are so inclined) and After Tan Co Bamboo Maxi Dresses not only help deliver the perfect finish, in their cute portable bags they make the best bridesmaid presents – that they actually will wear again and again. In the lead up to your big day, every little bit helps to ensure that everyone gets it right. Fake tanning can go one of two ways, and there should be only one star of the show – for all the right reasons. Follow these steps and you should be waltzing down the aisle like the naturally bronzed goddess that you are. Bamboo. Bamboo cotton. Bamboo rayon (viscose). Bamboo lyocell. Bamboo linen. As you might be able to tell, navigating the world of bamboo fabric can be tricky, but don’t worry, we’ve done all the hard work for you. After what seemed like an eternity of research, we at After Tan Co decided to move away from traditional fabrics for our collection and gear ourselves toward that of bamboo. The reason for this was that we wanted to create a complete collection that catered for every single part of your tan plan in the most comfortable, practical and fashionable possible. Bamboo has helped us achieve this and here’s why. Our products are made with a custom blend of bamboo and cotton. The bamboo keeps the fabric soft and light, whilst the cotton provides strength and durability. Our thinking was that durable and silky smooth clothing and bedding was a no brainer! So here’s your crash course in the gorgeous and luxurious fabric that is bamboo. There are currently four varieties of bamboo fabric on the market. Currently, the majority of bamboo sheets on the market are made of this. Some characteristics of this fabric are its silky smooth texture, its high absorbency and its non-resistance to wrinkling – so you’ll need to make sure you keep that iron handy! Also, a word of warning, there are so many different processes for creating this form of fabric, with some coming nowhere near to being considered eco-friendly. Ensure that you buy from manufacturers with strict ethical and eco-conscious policies and procedures. Often, serious environmental damage results from the improper disposal of chemical waste that is produced throughout the manufacturing process. We didn’t want to take the risk here. This fabric certainly ranks higher than 100% Bamboo Rayon in terms of its eco-friendly production methods and its strength. It has all the properties of bamboo that we love, such as the ability to regulate body temperature, prevent growth of bacteria, protect the skin from irritation and maintain water balance. But we felt this preparation of bamboo fabric provided an absorbency rate that was a little too high – we’d rather keep the fake tan on you rather than absorbed into your sheets! This is where we feel you get the best of both worlds. You get the strength and durability from the cotton and then the wonderful antimicrobial and silky smooth properties that bamboo brings to the table. Yes a bamboo cotton blend won’t be exactly as silky as the aforementioned bamboo materials, but it gets pretty darn close we can tell you that! We have ensured that our manufactures are eco-friendly and treat this beautiful plant and the resulting product with upmost respect. Bamboo is not only wonderful for us as a fabric; holding the title as the world’s fastest growing grass it is also extremely beneficial for the environment by way of absorbing greenhouse gasses, producing very little waste and doesn’t require fertilizer, pesticides, or herbicides. As for this final preparation of bamboo fabric, bamboo linen just didn’t stack up for us. Although sustainable, it is not very soft and wrinkles very easily. We have found that you need to spend a lot of time dedicated to keeping your bamboo linen at its best. It requires CONTINOUS ironing after washing and this is something we didn’t want to have to burden you with! So what are you waiting for – check out our collection today, you won’t regret it.